Heat Appam pan, grease it with oil very well. Take one bowl, add dosa batter, salt, pepper powder, onion, green chilly, and mix well. Pour a ladleful of batter in each dent, drizzle a few drops of oil along the sides, sprinkle white and black sesame seeds and cook for 4-5 minutes till the underside is lightly browned. Turn them over using a spoon and drizzle a little more oil and continue to cook until both the sides are evenly cooked. Garnish with fresh coriander spring. 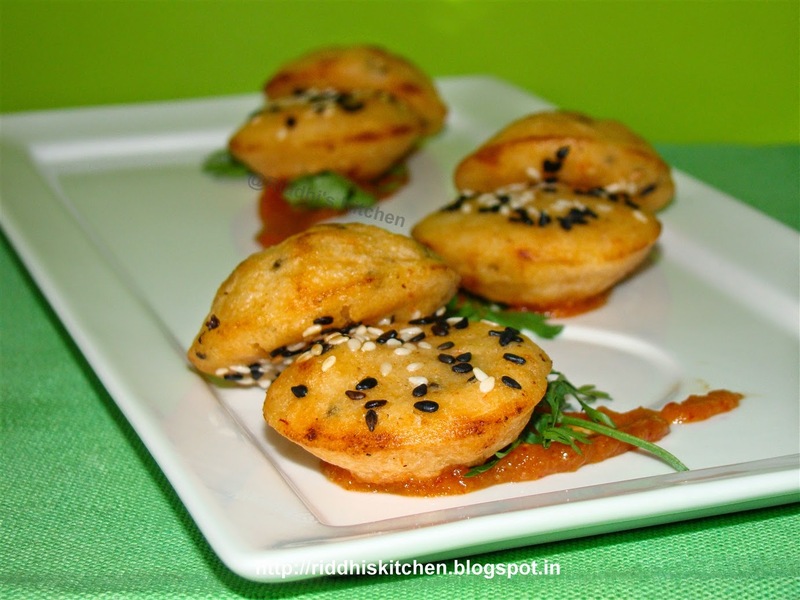 Serve with Raw mango chutney. My pleasure. Try this. Waiting for your feedback.